Hard to blame the owners of this “Latin” Café in Roubaix, France, for trying to add some color to a town, which once was ground zero for France’s textile industry, and now has succumbed to high unemployment and off-track betting joints. This entry was posted in Marketing & Advertising and tagged Cafes, France, Lille, Rubaix. Bookmark the permalink. This is not a faux latin cafe but a regular cafe that also sells tobacco which the majority of French cafees used to do. 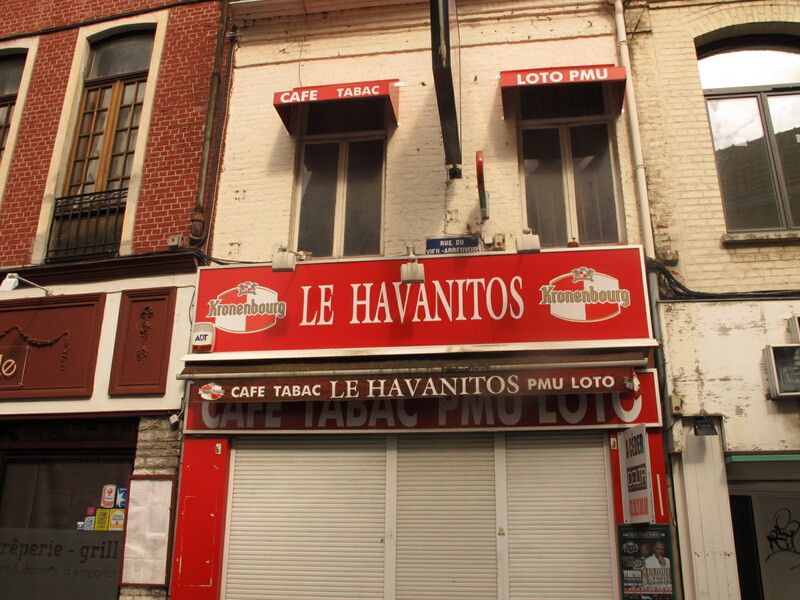 Havanitos is the name of a classic French brand of cigarillos.